The number of couples choosing to reach out to a wedding planner has increased considerably over recent years. 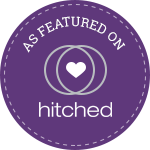 In fact, an article recently published on Hitched suggests that 26% of couples planning their wedding are now choosing to work alongside a planner. Considering that hiring a wedding planner was once thought of as a luxury reserved only for the rich and famous this rise in popularity is immense. One reason for this increase is probably down to the variety of planning services now offered by wedding planners. Services such as “Partial Planning” & “On The Day Co-ordination” offer greater flexibility to couples, and allows them to choose at what point they would like to start working with a wedding planner. Another contributing factor is time, or to be more precise the lack of it. For some brides juggling planning a wedding alongside their existing work and family commitments means that the assistance of a wedding planner is an essential investment to ensure that their wedding day is as wonderful as they hope. As well as all of the above your planner should also be your first port of call should you require any general advice throughout your wedding planning journey. If you are considering hiring a wedding planner then do take a look at my website and if you have any questions about the planning services that I offer please feel free to contact me to discuss further, or to book a complimentary consultation.